"La Spiruline du Val de l'Eyre" is the first spirulina aquaculture farm in Gironde. 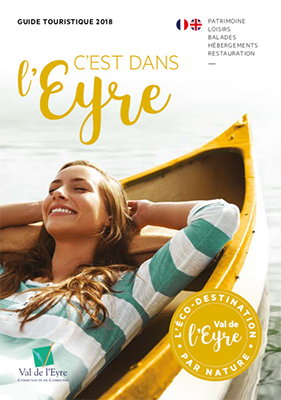 The water is located in the Eyre valley, in the heart of the Landes de Gascogne Natural Park, which produces good quality and natural spirulina, due to its favourable environment. The spirulina is grown in ponds under greenhouses. Spirulina production is an April to October seasonal activity. This project is the first of its kind in Gironde and is an innovative project due to its sustainable nature of farming. The artisanal approach of the Val de l'Eyre project involves quality production, natural and rational cultivation methods and gentle processing techniques. Spirulina is particularly effective in cases of deficiency, demineralization, exhaustion and especially recommended in physical effort.